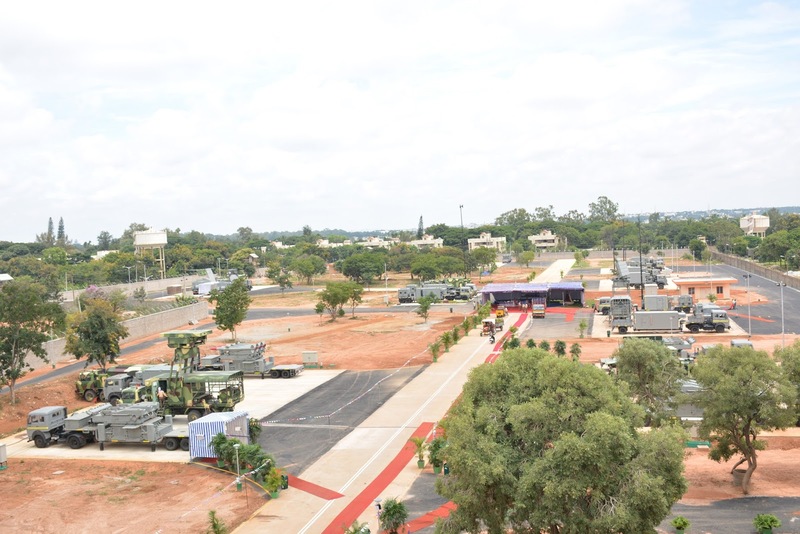 Navratna Defence PSU Bharat Electronics Limited (BEL) is setting up a Defence Systems Integration Complex at Palasamudram, Gorantala Mandal, in Anantapuramu district of Andhra Pradesh. It will be the largest such facility in the country once it is commissioned, covering an area of over 900 acres. The Raksha Mantri, Manohar Parrikar, laid the foundation stone for this facility on Wednesday, September 30, 2015, in the august presence of N Chandrababu Naidu, Chief Minister of Andhra Pradesh, M Venkaiah Naidu, Union Minister for Urban Development n Parliamentary Affairs, P Ashok Gajapathi Raju, Union Minister for Civil Aviation, Nirmala Sitharaman, Minister of State for Commerce & Industry and Y S Chowdary, Minister of State for Science n Technology. As part of diversification and business growth, BEL is looking towards major expansion into New Generation SAM systems, High end Image Intensifier Tubes and Thermal Imaging detectors for Night Vision Devices, Inertial Navigation Systems, Electronic Ammunition Fuses, Air Traffic Management Radars, Intelligent Traffic Management Systems and Solar Power Plants. The Palasamudram facility will enable BEL to expand its Missile systems business and will carry out manufacturing & integration for the ongoing and upcoming projects. It will have state-of-the-art infrastructure such as Assembly Hangars and Hard Stands for Radars and Weapon integration, RF radiation sources for target simulation, Automatic Test Equipment, Clean Rooms for electronic assembly, Non-Explosive n Explosive Integration Buildings, Missile Storage buildings, Environmental Test Chambers, Fire Stations, Solar Power Plant, Estate and Admin buildings. BEL is currently manufacturing the Akash Missile Systems (AMS) for the Indian Air Force and the Indian Army. The Akash Missile System is a supersonic, short-range surface-to-air missile system designed and developed by DRDO, with the capability to engage a wide variety of aerial threats like aircraft, helicopters and unmanned aerial vehicles. BEL is the lead integrator of the Akash Missile System for the Indian Air Force and supplies the Radars, Control Centres, Simulators, associated maintenance vehicles and the integrated software. Testing and integration of missile systems involves actual deployment of Air Surveillance Radars, Fire Control Radars, Control Centers, Missile Launchers and other support systems to validate the detection, tracking, command and communication link parameters. Multiple groups of the equipment have to be positioned at suitable spacing over a large area to simulate field conditions. The upcoming facility will cater to these requirements. 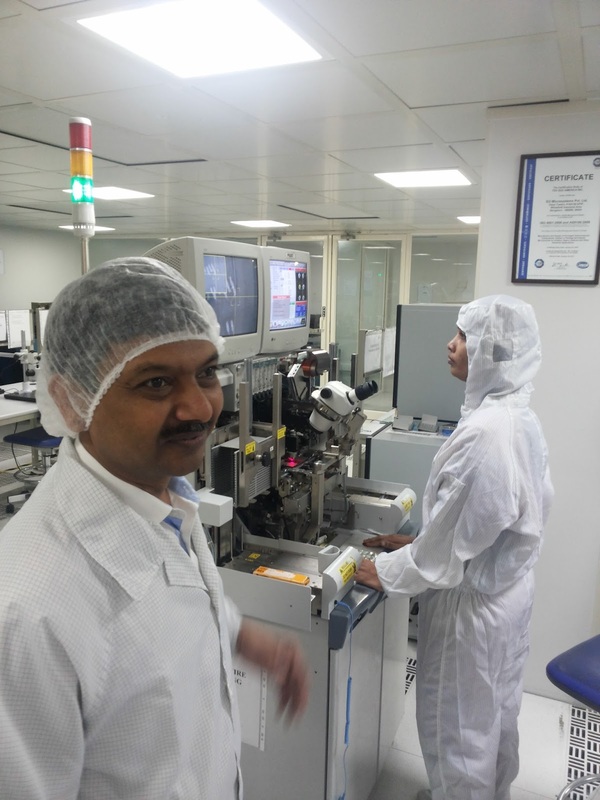 At present, BEL carries out its missile manufacturing and integration activities and system level checks at its Bangalore Unit. In order to cater to the large requirements of futuristic Surface to Air Missile systems, missiles and associated electronic sub-systems n components, BEL is setting up this facility in Andhra Pradesh. The facility is about 80 Km from the Bengaluru International Airport on NH 7. The proposed Complex will be a world-class facility with Automated Guided Vehicles and Industrial Robots for material movement and handling. The facility will be built in stages as the various projects mature and the estimated investment will be about Rs.500 Crores over 3 to 4 years. BEL also plans to expand this facility for the creation of a Military Industrial Complex to set up the necessary ecosystem for manufacture of electronic components and equipment for various upcoming Defence projects in collaboration with SMEs as part of the Government’s ‘Make in India’ initiative. As the Indian government rolls out its ambitious program of developing 100 Smart Cities on fast track, Si2 Microsystems, a leading firm into FPGA design and development capabilities is embarking on a three key offerings in the race for the smart cities. For solutions related to smart city requirements, SI2 Microsystems has developed chip sets for smart cities with focus on three key offerings; Smart Street Lighting and Monitoring System; Smart Metering Network; and Smart Traffic Control System. As part of the ‘Make In India’ campaign, we develop and roll out our chip sets from our own facilities in India, says Soni and adding besides Si2 has also designed and developed a number of RF products for use in smart cities solutions. Among the three key offerings for the smart cities, we shall take a look at what Si2 is offering in the market and its benefits for the industry leaders. SI2 Microsystems street lighting solution has a number of benefits and these includes: Centrally GIS web-based inventory control with improved roadway safety. Its other features include energy savings up to 80% and maintenance cost reduction up to 50%. Besides the system reduces carbon emission and has proactive maintenance system. Specific to Si2 technology, the street light brightness can be controlled to save energy and an immediate report can be sent to the control room if the street light is not working or partially working. That’s not all. The street light monitoring and controlling is achieved by wireless communication using ZigBee based wireless modules. The street lights can be monitored and controlled from a centralized area and also controlled remotely via cell phone by a suitable street light application. Also efficient application software makes it easy to track, troubleshoot, maintain and control the street lights selectively. So in layman terms, here is what a common person can look forward to in the upcoming Indian smart cities. By using smart chip and enabling mobile cloud-based technology, street lights are able to identify themselves and also network via smart plug and play approach. Hence the next-generation LED street lighting gives quality lighting, saves energy, reduces maintenance and provides safe streets for residents. The web-based technology also enables manage street lighting. In addition, management system using chips can enable remotely control lighting fixtures and monitor energy usage and help identify themselves and network, thus reducing costs and avoid on-site maintenance. So in order to reduce energy consumption, pilfer of power, identify faulty power points and save money on bills, consumers need to monitor their energy use carefully through Smart Meters and then make an effort to change the daily energy usage behaviour (such as less TV watching, switching off PCs when not in use) especially in peak time. · * Efficient application software makes it easy to track, troubleshoot, maintain and control the street lights selectively. – Lights dim to pre-defined levels during off-peak hours. – Surrounding lights increase to full brightness as soon as human presence (pedestrian, bicycle or car) is detected. – Custom reports can be generated to help track energy consumption and savings across the system. – Lighting levels adjust to weather conditions such as heavy rain and snow. – Lights go to full brightness in the event of system failure. – Adaptive controls reduce light pollution and create a healthier living environment for both humans and wildlife. In conclusion, Smart Traffic Control initiative with a GIS enabled digital road map of the city, coupled with the power of analytics, is the key to smooth traffic management. After collecting information from the Traffic Management System, the data analytics tool aligns the data in real time with GIS mapping and parking management, to provide information to motorists on the best route to take, thereby helping reduce traffic pile up. This is already being used in many smart cities across the globe. “The Smart Cities has been allocated Rs 48,000 crore and 30% of the cost of manufacturing is going to be on software and the future would be around Internet of Things and Everything (IOT&E),” remarks Soni. Demonstrating its commitment to delivering trusted cloud services that enable people and organizations around the world to achieve more, Microsoft today announced the availability of Microsoft Azure services via local datacenter regions in India. As the first public cloud provider from India, Microsoft has opened three new regions – Central India in Pune, South India in Chennai, and West India in Mumbai. Governments, large businesses, small and medium businesses (SMBs) and citizens can use the massive computing power now available locally to fuel India’s inclusive growth, spur innovation and accelerate digital transformation. Built on foundational principles of security, privacy & control, compliance and transparency, Microsoft cloud services are designed to enable individuals and organizations to achieve more. In addition to the Microsoft Azure services launching today, Office 365 services are slated for availability in October 2015, with Dynamics CRM Online services to follow in the first half of 2016. Microsoft local cloud services are well-suited for governments and businesses that already have significant investments in owned IT infrastructure. They will now be able to extend their existing IT infrastructure and private clouds to Microsoft local (public) cloud, thereby creating compelling hybrid cloud scenarios and reducing their cost of IT operations significantly. The impact on citizens is expected to be all the more significant as it will accelerate e-governanceand roll-out of citizen services at unprecedented scale and speed by governments, thereby accelerating the governments’ Digital India and Smart Cities programs. * Startups and SMBs will gain a competitive advantage with enterprise-grade technology to help them innovate and grow their business to a global scale. * Education Sector will witness transformational digital learning. Just one offering, Microsoft Edu-Cloud, is expected to benefit 10 lakh teachers and 60 lakh students across 1500 institutes over the next 18 months from local Microsoft Cloud. 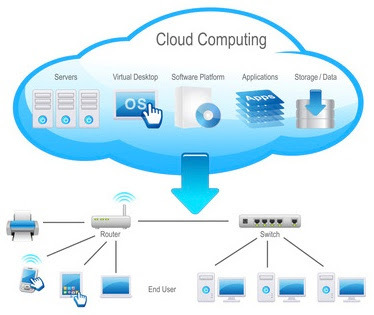 * Developers, IT Professionals, ISVs and Partner ecosystem will see newer opportunities and innovative business models. From providing cloud assessment to cloud roadmap creation; from writing new cloud ready applications to migrating existing workloads to cloud; locally delivered cloud services will help hosters, ISVs and partners scale their business using the cloud. The Microsoft Cloud, including Azure and Office 365, supports compliance with a broad set of industry-specific laws and meets broad international standards. Azure and Office 365 have received ISO 27001 certification, are audited under the SSAE 16 SOC 1 and SOC 2 standard, offer a HIPAA business associate agreement, and have received authorization to operate under FedRAMP. Microsoft was also the first to adopt the uniform international code of practice for cloud privacy, ISO/IEC 27018, which governs the processing of personal information by cloud service providers. In the preparation to launch of cloud services from local datacenters, Microsoft created a special private preview program to allow early customers a preview into using the new local cloud services. This has seen significant interest from BFSI, government departments and organizations, ISVs, ecommerce organizations and startups with participation from over 125 customers. Organizations such as Mahindra, Aditya Birla group, IndusInd Bank, Kotak Bank, BPCL, AIIMS, Fortis Healthcare, Narayana Healthcare, Apollo Hospitals, Haryana State Electronics Development Corporation, MIDC, TN ePDS, UP Power Corporation, Wipro, Infosys, Rediff, BookMyShow, Sony Corporation, NanoBi Data and Analytics, etc. 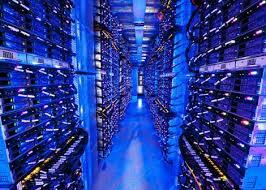 have been using Microsoft local cloud services under this private preview program. 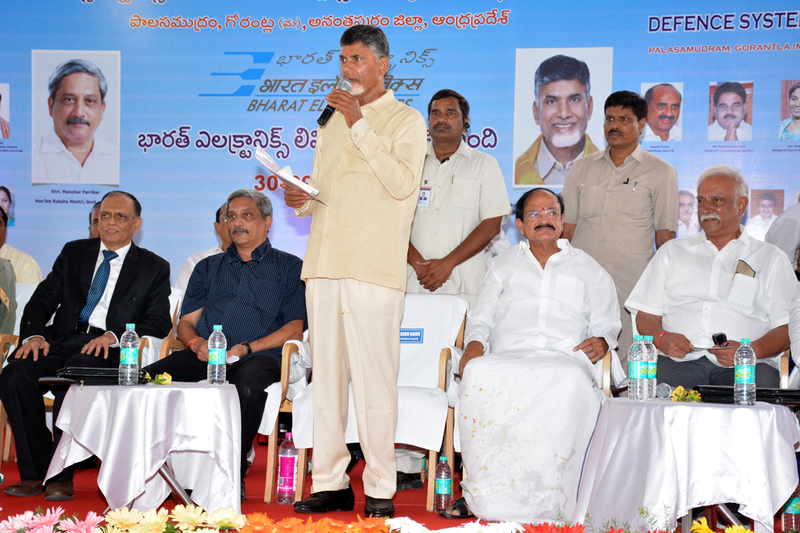 Navratna Defence PSU Bharat Electronics Limited (BEL) is setting up a Defence Systems Integration Complex at Palasamudram, Gorantala Mandal, in Anantapuramu district of Andhra Pradesh. It will be the largest such facility in the country once it is commissioned, covering an area of over 900 acres. 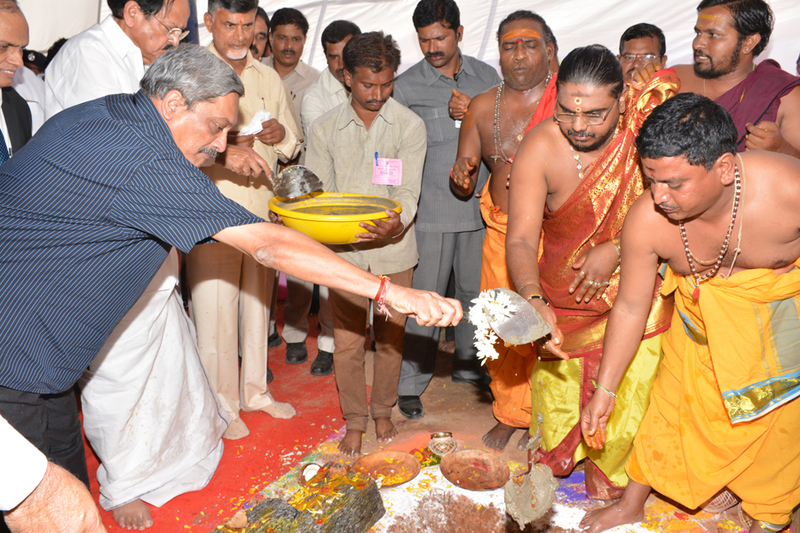 Raksha Mantri, Manohar Parrikar, will lay the foundation stone for this facility on Wednesday, September 30, 2015, in the august presence of N Chandrababu Naidu, Chief Minister of Andhra Pradesh, M Venkaiah Naidu, Union Minister for Urban Development & Parliamentary Affairs, P Ashok Gajapathi Raju, Union Minister for Civil Aviation, Nirmala Sitharaman, Minister of State for Commerce & Industry and Y S Chowdary, Minister of State for Science & Technology. The Palasamudram facility will enable BEL to expand its Missile systems business and will carry out manufacturing & integration for the ongoing and upcoming projects. It will have state-of-the-art infrastructure such as Assembly Hangars and Hard Stands for Radars and Weapon integration, RF radiation sources for target simulation, Automatic Test Equipment, Clean Rooms for electronic assembly, Non-Explosive & Explosive Integration Buildings, Missile Storage buildings, Environmental Test Chambers, Fire Stations, Solar Power Plant, Estate and Admin buildings. Testing and integration of missile systems involves actual deployment of Air Surveillance Radars, Fire Control Radars, Control Centers, Missile Launchers and other support systems to validate the detection, tracking, command and communication link parameters. Multiple groups of the equipment have to be positioned at suitable spacing over a large area to simulate field conditions. The upcoming facility will cater to these requirements. At present, BEL carries out its missile manufacturing and integration activities and system level checks at its Bangalore Unit. In order to cater to the large requirements of futuristic Surface to Air Missile systems, missiles and associated electronic sub-systems & components, BEL is setting up this facility in Andhra Pradesh. The facility is about 80 Km from the Bengaluru International Airport on NH 7. The proposed Complex will be a world-class facility with Automated Guided Vehicles and Industrial Robots for material movement and handling. The facility will be built in stages as the various projects mature and the estimated investment will be about Rs.500 Crores over 3 to 4 years. BEL also plans to expand this facility for the creation of a Military Industrial Complex to set up the necessary ecosystem for manufacture of electronic components and equipment for various upcoming Defence projects in collaboration with SMEs as part of the Government’s ‘Make in India’ initiative.